A daydreaming film student conducts an affair with her professor. 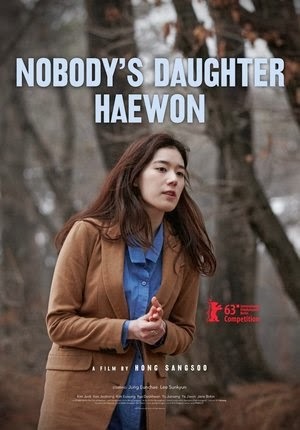 Haewon (Eun-Chae) is a film student and wannabe actress who struggles with real life, constantly daydreaming of dramatic scenarios and even falling asleep in public. A year after breaking up with her film professor, Seongjun (Lee), the two begin to rekindle their romance but when he learns Haewon has been sleeping with one of his students in the interim, Seongjun has a fit of jealous rage, leaving Haewon to choose between immersing herself in a fantasy world where everything goes her way or accepting reality with all its challenges and disappointments. Eun-Chae is mesmerizing as Haewon, the unreliable narrator of Hong's latest existential character drama. The film is told through her voice-over and we quickly come to discard everything she tells us. A fantasist, Haewon is unable, or unwilling, to accept the mediocrity of real life and human relationships. About to meet her mother, who is leaving for a new life in Canada, Haewon daydreams of meeting Jane Birkin in the street. She pours out emotion to the actress, who reciprocates, inviting her to visit her Paris home and comparing Haewon to her daughter, Charlotte Gainsbourg. When Haewon meets her mother, however, there is no outward display of emotion. Haewon's mother attempts to incite a romance between her daughter and a young bookstore owner but Haewon is disinterested. Later, however, she reimagines the young man as an older film professor with psychic powers and Scorsese on speed-dial who immediately offers to whisk her away to California. Her lover, Seongjun, shares Haewon's inability to cope with real life. Unable to simply sit and talk with his young lover on a trip to an old fortress, Seongjun pulls out a tape player and "scores" the moment with Beethoven's Seventh Symphony, an overused piece of music that has become synonymous with unoriginal film-maker's struggling for sentiment. If opposites do indeed attract, this relationship is doomed from the off. Hong's film has a rambling, lazy feel that will likely turn off those viewers who require the element of plot but I was intoxicated by Haewon and her interactions. Every character in this movie is someone you'd happily spend a train ride seated next to. Asian film-makers have a strange talent for putting across a level of sentimentality that would come off as crass and disingenuous if attempted by Western storytellers. I honestly can't think of any Western actress who could convey the troubled kookiness of Haewon in the believable manner of Eun-Chae. Hong's laidback style makes his film feel like a Murakami novel adapted into a 'Peanuts' cartoon and it's every bit as great as that combination sounds.